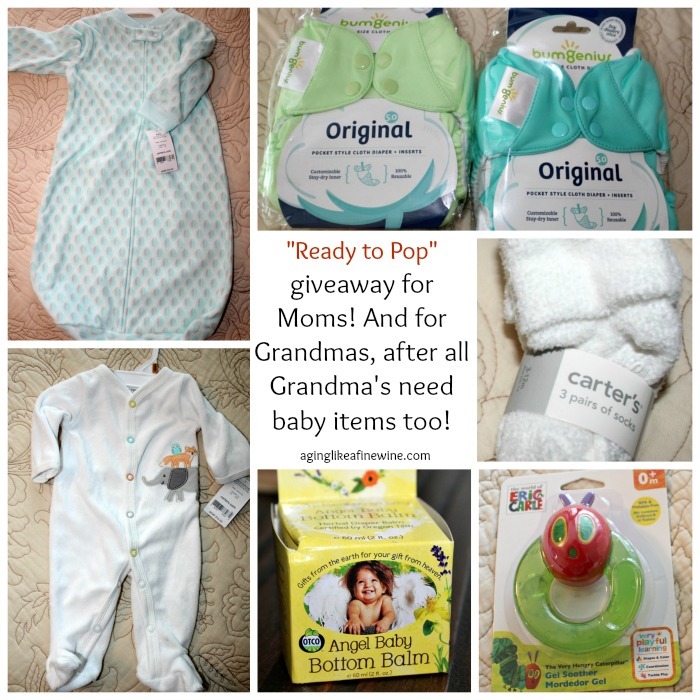 “Ready to Pop”, A Special Giveaway for One Lucky Mom or Grandma! Welcome everyone to a special giveaway hop called “Ready to POP”! It’s a Labor Day inspired hop hosted by Viva Veltoro and Lindsey Blogs. 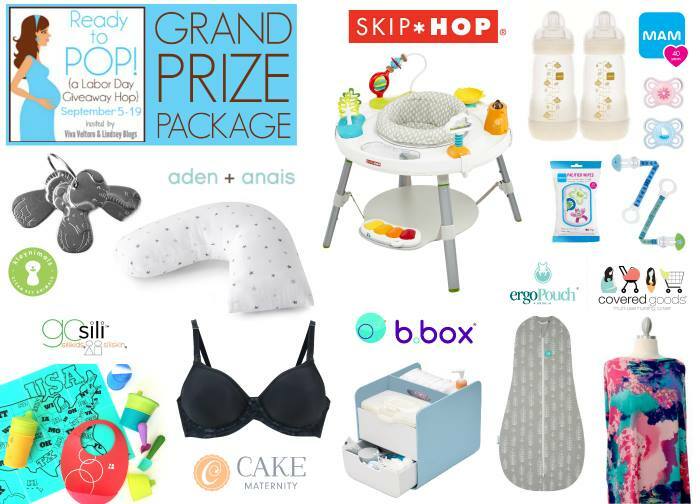 Each participating blogger is celebrating Labor Day in a totally fun way – by offering fabulous giveaways for Mamas and Babies who, after all, have done some of the hardest labor out there! 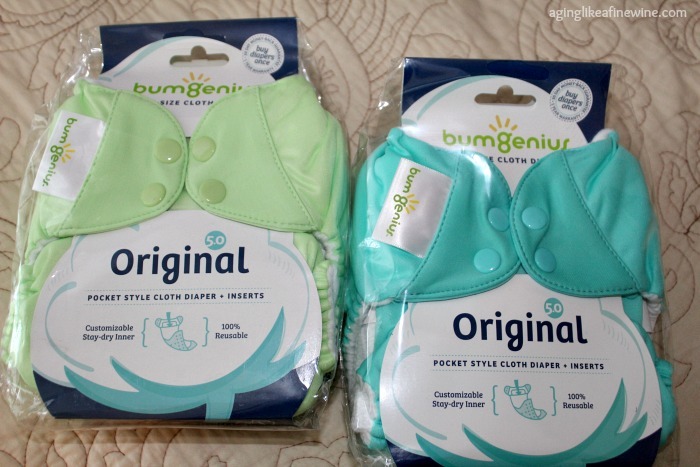 The first two items in my giveaway are BumGenius cloth diapers made in the USA. That means a lot to me. I love to support American made products! Are you familiar with the new cloth diapers? I was first exposed to these when my granddaughter was born and my daughter-in-law used them. They are the neatest things compared to the old diapers we used. I know they’re old news to this new generation of young moms or soon to be moms out there, but there might be some grandmas or soon to be grandmas from my generation that aren’t aware of them yet. And speaking as an experienced Grandmother, we need to stock up on these items at our houses too! Diapers have certainly changed through the years! Long ago the American Indian placed grass under a cover made of rabbit skin on their babies as a diaper. The Inuits placed moss under a sealskin cover. In Elizabethan times diapers were only changed every 3-4 days! Can you imagine the poor babies bottom? And the smell! Wash day for women in the American West was a planned day, usually one day per week and it was labor intensive. Wet diapers were just hung up to dry and reused on other days. In the winter they were hung to dry by the fire in the house. We’re all thankful we missed out on those fun times, aren’t we! When my children were babies I used big flat white diapers. I think it was the same type of diaper my mom used on me. We folded them and pinned them on with large diaper pins, which I think most babies were stuck with at least once! After the diaper was on, you put rubber pants over the diaper to keep everything in…. hopefully. One positive thing about those diapers, is that they made fantastic rags after their diapering days were over! Then along came disposable diapers and over time most parents switched to using these. With my youngest it was disposable all the way. But beginning in about 2000, there started to be a slow resurgence of cloth diapers, but these are much, much better than the ones we used. I was first exposed to these when my granddaughter was born and my daughter-in-law used them. They are many times over, better than the old things we used. 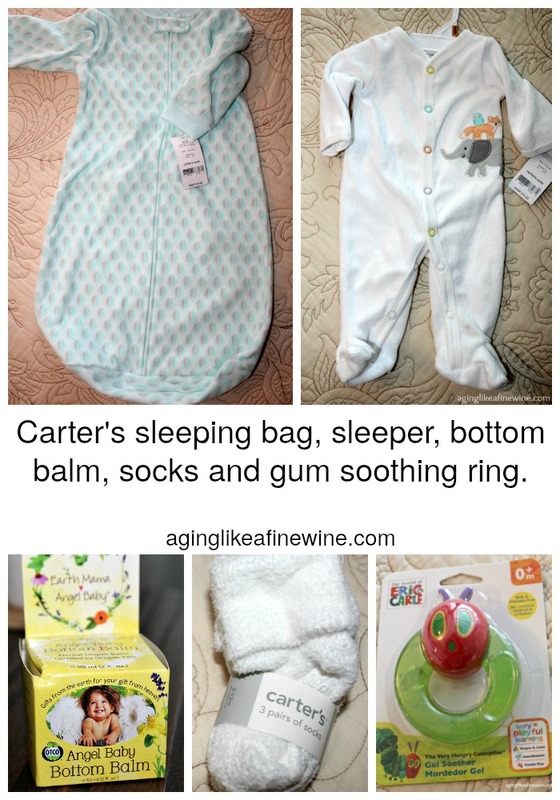 But not only do I have the BumGenius diapers in my giveaway, but I am also offering a Carter’s sleep bag, sleeper, and socks, plus Angel Baby bottom balm and a teething toy! The entire bundle is valued at $100. So don’t wait, enter now to win! Each blogger in this Hop has a fabulous Mama or Baby prize for you to enter to win – so be sure to hop around to each one listed in the linky at the bottom of this giveaway! Good luck in each of the giveaways! So Easy Being Green, Viva Veltoro, and the Ready to POP! participating bloggers are not responsible for sponsors who do not fulfill prize obligations. 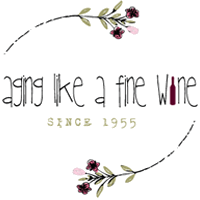 This blog post will be shared at some of the lovely link parties found on my “Where I Party” page. This would be for my wonderful grandbaby. Thank you for the chance to win it! This will be for my newest grandbaby that is due next spring! This prize would be for my little boy that will be born in less than 10 days! Probably for me and a friend! I would keep the diapers for my baby but pass the other stuff onto some friends with newborns. I would use this prize package myself! I love bum genius diapers! It would be for my next little one!! We already have 2 kiddos, so this would be for #3!! This will be for my new granddaughter. This would be for my 1st grandbaby due on the 17th. Super excited! This will be for our cousin who is due in just a couple of months! I know she would be overjoyed to get this. Wonderful products 🙂 Thank you for the chance! I would use the giveaway items for my newborn. I’m especially excited for the cloth diapers. Thanks! This will be for my cousin. I would keep the prize and use it for when my son is born. This will be for a friend’s baby, but I’m going to keep the diapers for my own baby! This would be for baby #2 due 01/31/2017! This would be for my son, and I’d share some of the prizes with a friend. Thanks for the chance! This will be for baby #2! This will be for our first grandbaby, coming in December! If I win this prize pack I would give it to my neighbor and friend. It would be for my baby, I have a 4 mo. This prize would be for my 5mo baby! And then passed down to my niece. This prize would be for my baby who is due to arrive in just a couple weeks! If I won, this would be a great gift for my niece who is having a baby . This would be for my daughter Olivia. I would keep,the things she can use and pass the rest on to my cousin. This would be for my baby! I’m trying to get pregnant! This will be for my new baby boy! It would be for the lo dh and I are waiting to adopt. I would give this to my oldest granddaughter. If I won this would be for my baby. We love bumGenius diapers. This would be for myself! First time cloth diapering, second time mom. This will be for my new niece who will be here in December! This prize would be for the new grandbaby that is coming in a few months. my husband’s nephew and his wife are expecting a new baby soon, and I think I would give it to them. The giveaway prize will be for my grandbaby. This would be for my niece and her son, also my cousin is doe at the end of Sept too a baby girl.